Home » Trials » Tour Guides Beat Charges of Harm Against Vitalino Reyes Jr.
Also from the courts today, five of six men, all tour guides, accused with the beating of Vitalino Reyes Junior in May 2014 are free of the charge of harm. Jimmy Cortez, John Frazer, Christopher Williams, his older brother, Evan Williams and Keith Vairez walked after the charge was withdrawn against them. But a sixth person, Leon Gentle will stand trial at the April 2016 session of the Supreme Court for the dangerous harm even though he had initially been charged with the attempted murder of Reyes Junior. 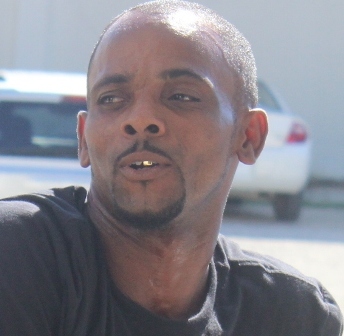 Senior Magistrate Sharon Fraser told Gentle that based on the statement of one witness, Gentle was the person who brutally beat Reyes Junior so badly he that he was left in a comatose state for weeks. After committal today, Gentle said that he is optimistic that his name will be cleared at his Supreme Court trial. Reyes Junior is the son of well-known tour operator Vitalino Reyes Senior. He was assaulted by someone believed to be an employee of competitor, Yhony Rosado. Both Reyes Senior and Rosado share a history of enmity which has landed them before the court. While they were subsequently bound to keep the peace, the rivalry between the two parties continues.